New technology is allowing researchers to track the incredible 1,700-mile non-stop migration of Blackpoll Warblers over the Atlantic Ocean from their home in the Adirondacks and Eastern Canada to South America. Summary: The bird’s trek between its breeding grounds in the central and western boreal forest of North America and its winter home in the Amazon Basin is one of the longest songbird migrations recorded. Describing a route arcing across North America and including a transoceanic flight to South America, the study confirms an epic migration journey that scientists had long suspected but not yet proved. Tracking their route is key to solving the birds’ decline. It’s an epic journey for a tiny bird. For the first time, University of Guelph biologists have tracked an annual migration of up to 20,000 kilometres made by the 12-gram blackpoll warbler, one of the fastest declining songbirds in North America. The bird’s trek between its breeding grounds in the central and western boreal forest of North America and its winter home in the Amazon Basin — one of the longest songbird migrations recorded — is the topic of a new paper by a research team headed by U of G biologist Ryan Norris. The paper was published today in the journal Ecology. Describing a “great circle route” arcing across North America and including a transoceanic flight to South America, the study confirms an epic migration journey that scientists had long suspected but not yet proved. In 2015, Norris and other biologists were the first to show that blackpolls breeding in the Maritimes and New England complete a non-stop transoceanic flight of up to three days and about 2,700 km along the eastern coast of the United States. For this new study, they looked at the full migration of birds from central and western breeding populations. Other co-authors were integrative biology professor Amy Newman and U of G grad students Bradley Woodworth, Nikole Freeman and Alex Sutton, as well as researchers from other universities, conservation groups and national parks in Canada, the U.S. and Australia. For the study, researchers tracked birds outfitted with tiny geolocators from four boreal forest sites across northern Canada and Alaska. Total southward migration took about 60 days on average over distances ranging from 6,900 km for birds breeding in Churchill, Manitoba, to 10,700 km for populations on the western edge of the continent in Nome, Alaska. Blackpolls from Nome took 18 days to fly across North America to the Atlantic coast of the Carolinas. There, the birds spent almost a month fattening up to double their body weight before a non-stop, 2 ½-day flight across open water to overwintering grounds in northern Colombia, Venezuela and Brazil. They covered between 2,250 and 3,400 km for that transoceanic hop. Norris said scientists had long believed that blackpolls followed the great circle route. Few of the birds have ever been found in the central or western States during fall migration. He said population numbers have fallen in recent years, perhaps caused by habitat loss and declines in insect prey related to climate change. “To understand what’s causing the decline, we need to know their full annual cycle,” he said. In their paper, the researchers say climate change may make extreme coastal weather events more frequent and more extreme, with unknown impacts on long-distance migratory birds. Norris is now working with biologists in Colombia looking at the overwintering portion of the warblers’ life cycle. He said learning whether populations from across the boreal forest overwinter separately or together in South American rainforests may help improve habitat management along the migration route. This video shows a white-tailed eagle in Sweden. Music for relaxation, capybara bunch rests on the edge of the ciliary forest, Pantanal, Mato Grosso do Sul, Brazil. 3. As far as I know, my blog is not censored by any government in the world. With one exception: by the Erdogan government of NATO member country Turkey; for mentioning a Turkish army invasion of Iraq. 4. Which of my blog posts/pages attracted most visitors today? 5. 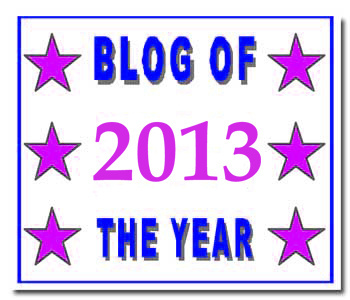 Which of my blog posts/pages attracted most visitors this year? 6. Which referrers referred most to my blog this year? 7. Which search engines referred most to my blog this year? This video shows a golden eagle feeding in a Swedish winter.